French farmers have been protesting France’s proposed ban on glyphosate, Europe’s number one pesticide. Ecology Minister Nicolas Hulot tried to engage in dialogue with them to achieve a “shared solution”. EURACTIV’s partner Ouest-France reports. About 250 farmers came to Paris on Friday (22 September) to protest against unfair competition from foreign products, with a delegation being received by the government. They argued that the government has been favouring unfair competition and French Ecology and Solidarity Minister Nicolas Hulot made a surprise appearance. “Argentine Soy”, “Macron kills” and “Ukrainian radioactive wheat” were the slogans written on a container blocking the entrance of the large avenue. Farmers were protesting against the possibility of importing agricultural products treated with pesticides like glyphosate, while the French farmers’ union (FNSEA) is afraid of France’s declared intention to ban all herbicides in France. “Farmers are in great difficulty, their average income is €350, this is no longer viable”, said Olivier Georges. “We are asking Emmanuel Macron to respect his campaign promises. He said there will be fewer interventions on competition, but what his minister Nicolas Hulot is doing will deliver the opposite,” Georges said. 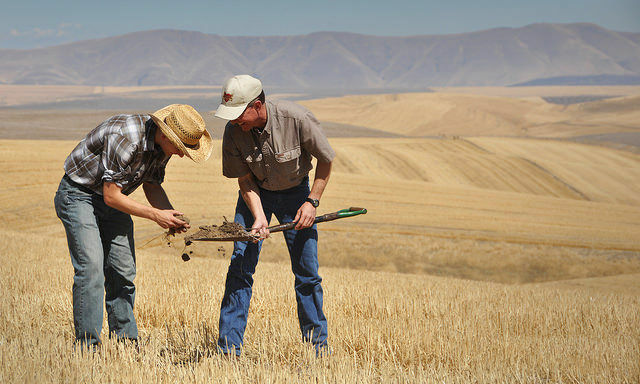 Farmers in France have reacted strongly to Environment Minister Nicolas Hulot’s intention to block the reauthorisation of glyphosate, pointing out the negative effects the ban would have on conservation farming, as well as increased overhead costs. 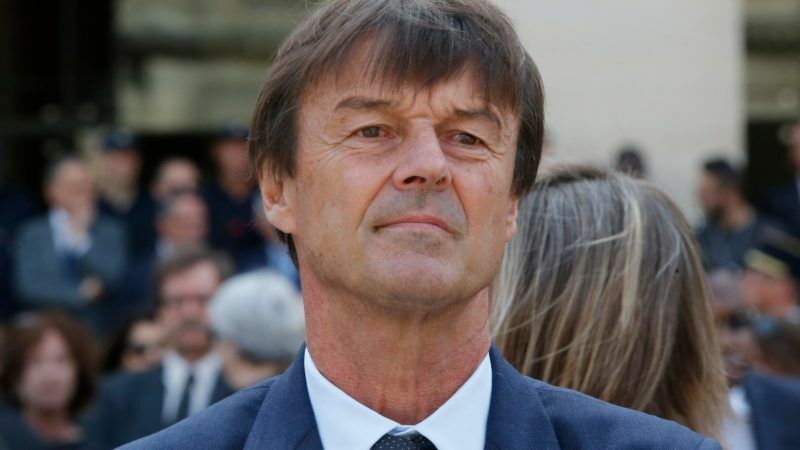 While a group of farmers was received by Emmanuel Macron’s agricultural adviser, Nicolas Hulot made a surprise visit to the demonstrating crowd. “Let’s ban chlorine from our water pipes then!” argued one farmer. “What about other countries?” asked another. 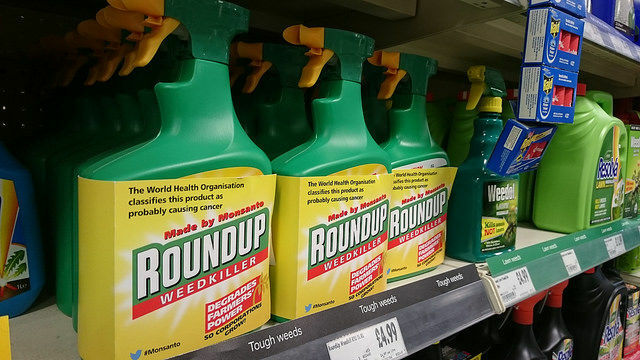 In July, the European Commission proposed renewing the licence of glyphosate, the most popular pesticide in Europe, which expires at the end of 2017. The vote on the authorisation should take place in early October. France announced it intended to vote against the proposal. A qualified majority is required, and France’s veto could be crucial. 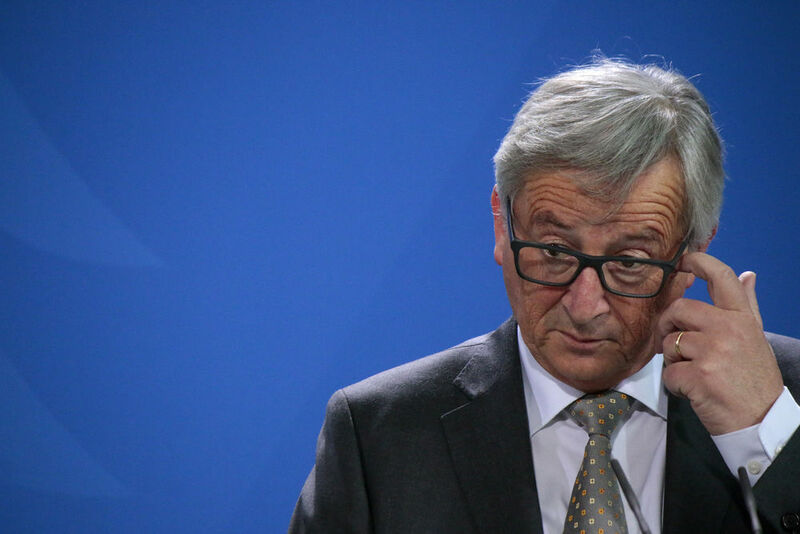 The European Commission has revealed its long-awaited reform of the so-called comitology decision-making process. But it has already been criticised for not being ambitious enough and concerns have been raised about whether the proposal stands any chance of being approved. The European Commission stands ready to insert a clause referring to biodiversity in the glyphosate renewal proposal if requested by member states, a Commission Spokesperson told EURACTIV.